Below is another article I was writing about Jussie Smollett before his story blew up on him. Expect MANY beatdowns by me of Leftists who readily accepted this liar’s bullsh*t story. Jussie Smollett of “Empire” fame should just stop the madness. No Trump-supporting rednecks wearing hoodies attacked him. There’s more proof that he was likely attacked by a couple of guys he met on Tinder for a hookup. And if you’re asking me for it, I don’t have. Thus, I repeat: there is more proof that he was attacked by a couple of guys he met on Tinder. The latest in this lying Leftist saga has to do with Smollett’s refusal almost two weeks ago to turn over his phone records…after the “attack”. But now he has. Sort of. As Page Six reports, Smollett released a heavily redacted phone record. The phone records Jussie Smollett provided to cops to corroborate his version of his alleged attack are “limited and redacted” and insufficient for a criminal investigation, the Chicago Police Department said Tuesday. 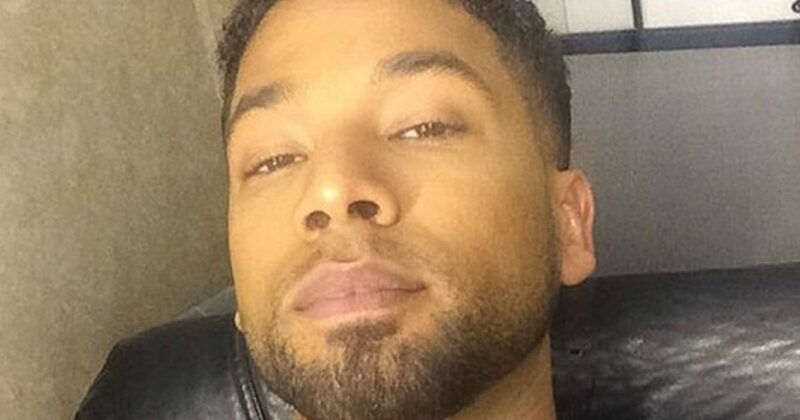 Smollett turned over the records 13 days after his alleged assault — following a report in The Post that he was holding them back — but they were a “heavily redacted” PDF of his call log from within an hour of the attack at 11:28 PST Monday, a spokesperson for the “Empire” star and Chicago police said. “We need something a little more concrete and direct if we’re going to be able to say for a fact the conversation occurred,” Chicago police spokesperson Anthony Guglielmi told The Post in reference to a conversation Smollett said he had with his manager at the time of the attack. Just so we are clear, the Chicago PD now possesses the phone records supplied by Smollett. And the moment in questions, aka the phone call at the very time that Smollett claimed he was speaking to his manager during the attack are redacted. Seriously Smollett, you’re hitting, “that depends on the definition of ‘is'” territory with this farce. Then check out the excuse given by Chris Bastardi, a spokesperson for Jussie Smollett. Honestly, who gives a crap about this clown’s other phone calls? It sounds to me like Smollett is protecting himself from “other” incrimination, like screwing around on his boyfriend or sneaking around on his manager. But he’s now hiding a phone call that supposedly occurred during the attack, because that attack never occurred. Sadly, this ruse continues because of the politically-correct world we live in. Nobody dare challenge the story of a black gay nobody who claims he was attacked by white racist homophobic Trump-loving rednecks. That’s the new jewelry-of-the-day in Hollyweird. So Chicago PD will play along, too scared to arrest this clown for filing a false police report. But in the real world, that’s what should happen. For now, Smollett makes the circuit as “hero”. As he said, [pp] “I fought them motherf***ers off!”. Yes, in his delusional world of fantasy, he did. But in reality, he fought a couple of gay hookers. And either we will learn the truth of this completely fabricated lie by Smollett. Or when Smollett believes he’s milked it enough, he will finally decide to leave this dog with fleas stories alone. I predict Smollett can’t let this go. Eventually, he will pull an “Elizabeth Warren DNA Test”, and out himself for being just another publicity-seeking lying Hollywood scumbag. By the way, anybody seen Harvey Weinstein and Kevin Spacey? Maybe they will admit to beating up Smollett. Things moved so fast in this story, I didn’t have time to published this story which highlighted even more holes in Smollett’s story. The scenario put forth by Smollett was impossible, which is why I called foul immediately. But what should disturb most reasonable people is how readily the Left accepted it. And what of Chicago PD? Afraid to actually investigate the way they should have investigated this lie. I’ve watched enough cop shows to know that once the police find holes in a story, the victim is no longer the victim. Yet Chicago PD played along with the farce. That is not justice. Pretending to believe the lie to placate the lunatic Leftists is not what I expect of law enforcement. Far worse is what other Leftists did. They stood by the obvious lie. What other obvious lies do the Left stand by? Smollett joins the long list of Leftist liars and scam artists. He thought he would garner fame and fortune by propagating a lie about the best people on the planet: Trump supporters.